 It’d be tough to separate the strength of our people from the strength of our mowers. 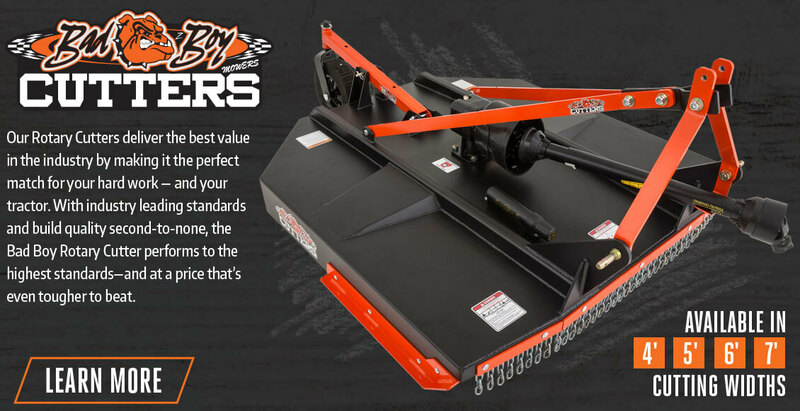 Because as tough as our mowers are, they’re no match for the people that design, build, bring to market and sell them as a part of the Bad Boy Mower family. 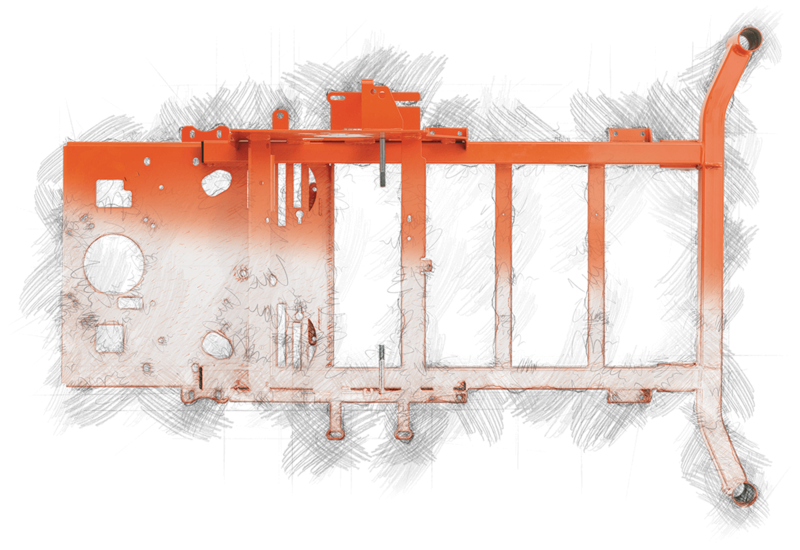 We call it the strength from within. 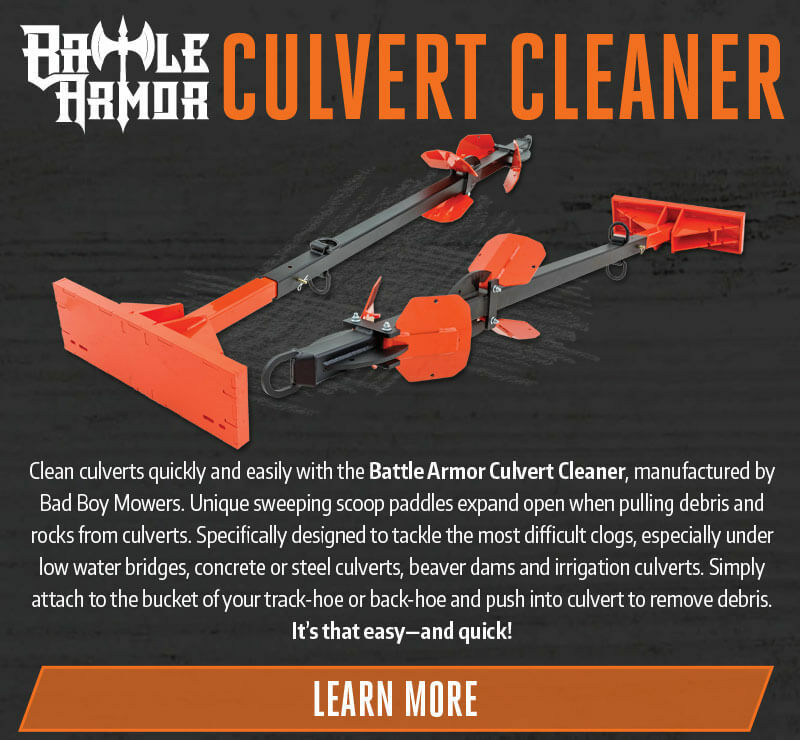 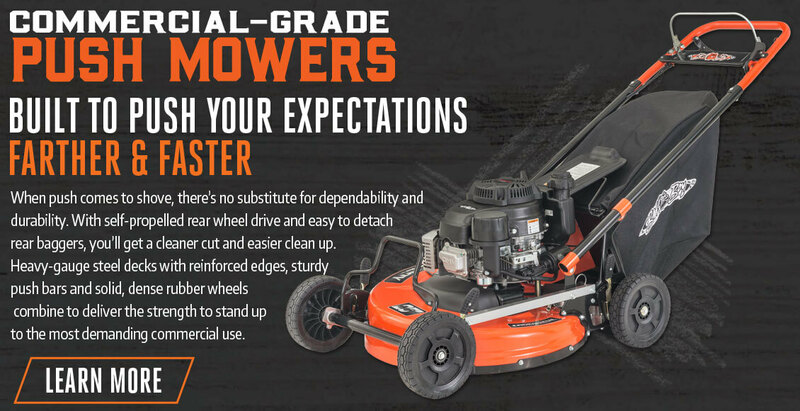 And it’s why you can call a Bad Boy Mower the strongest, most powerful mower—with the cleanest cut—on the planet. 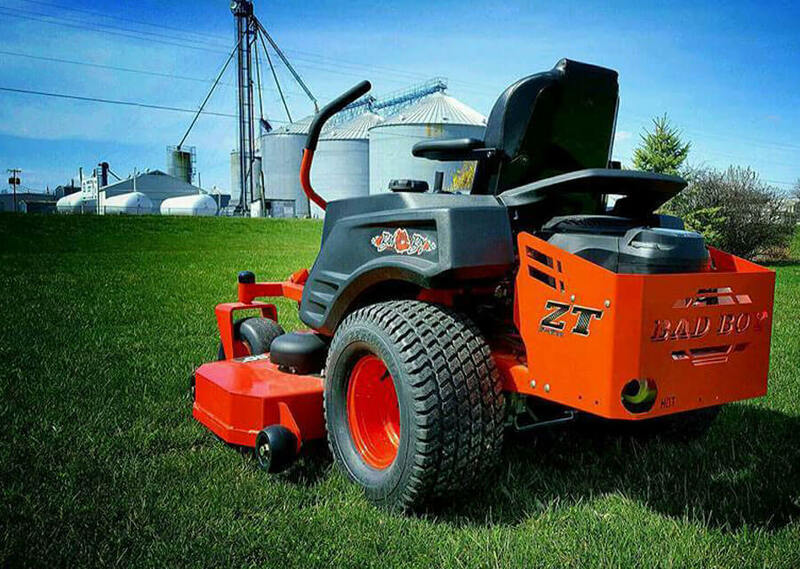 SO YOU CAN MOW LIKE THE PRO YOU ARE. 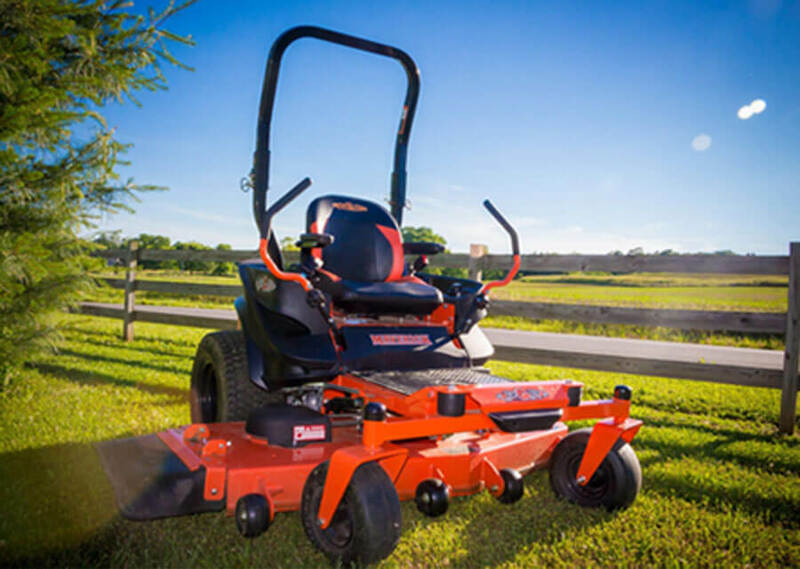 We pack more in our mowers so you can get more out of them.  It doesn’t matter if you choose our commercial or residential models, every Bad Boy shares the same heavy-duty, last-a-lifetime construction. 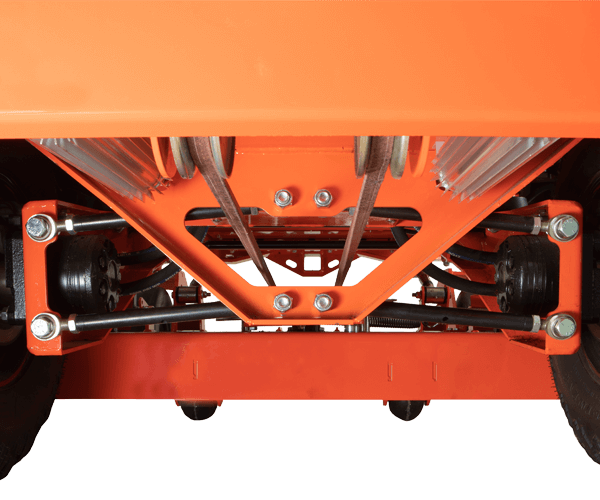 Our reputation rests on our all-steel, ‘heavier-duty than they have to be’, cut and welded rails. 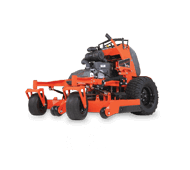 It takes longer to build a mower like ours than to stamp one out, but it’s the only way to guarantee that we won’t just out-mow the competition, we’ll outlast it as well. 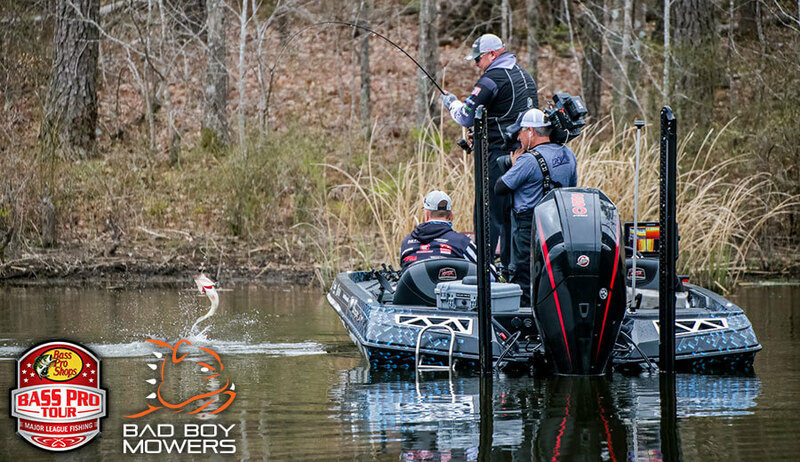 POWERED TO PERFORM. 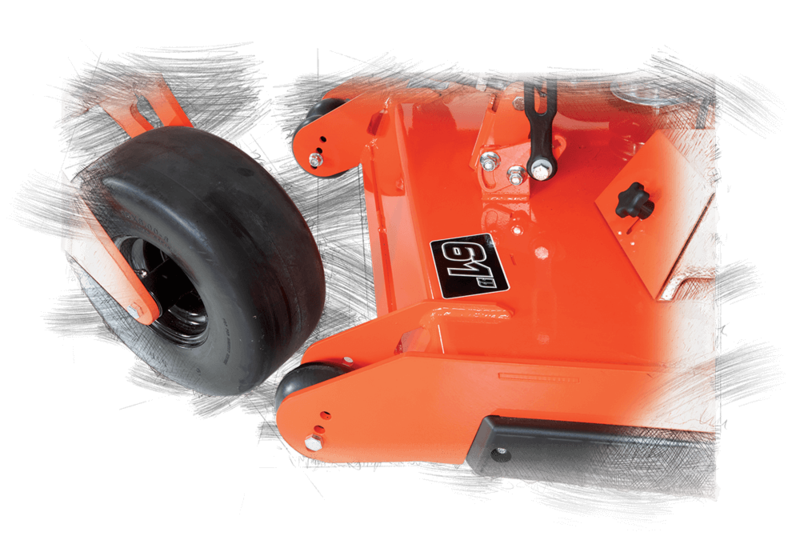 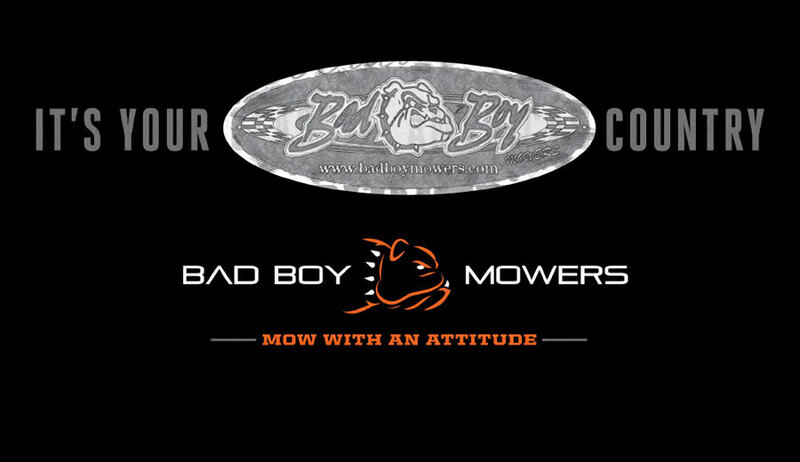 High performance has been a day-one feature of Bad Boy Mowers. 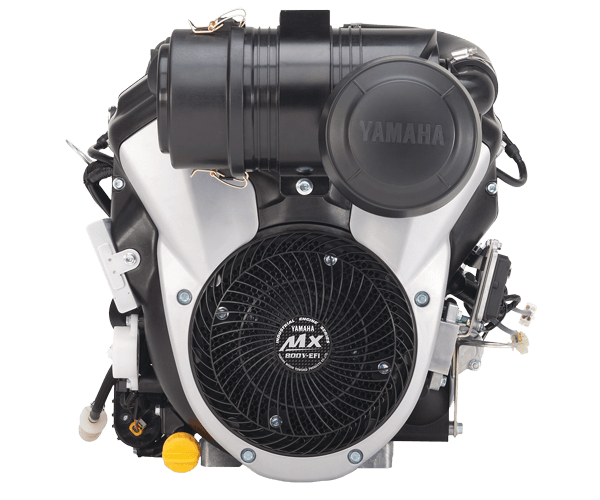 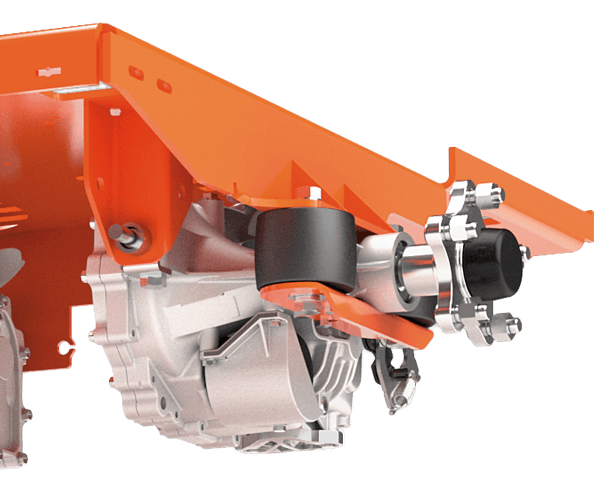 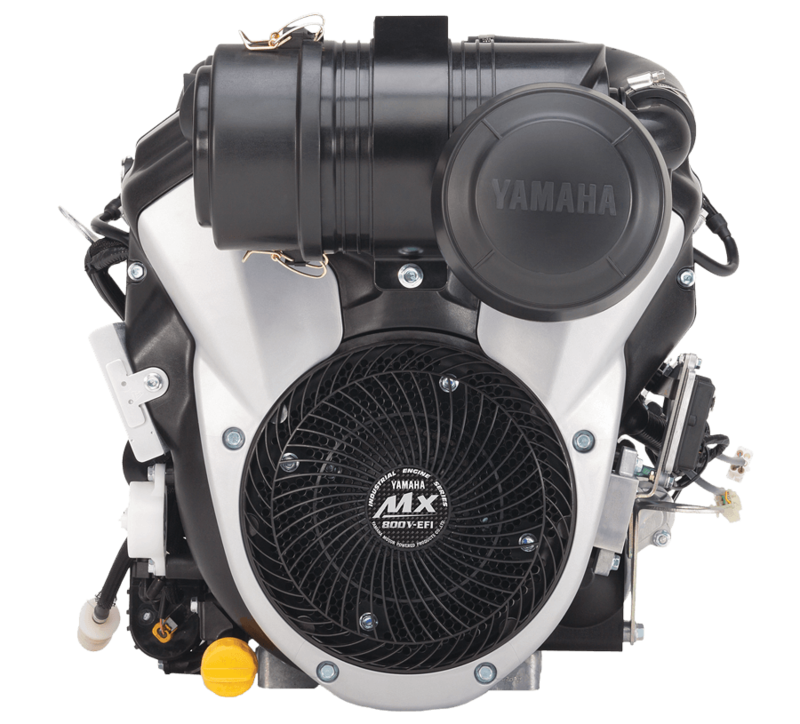 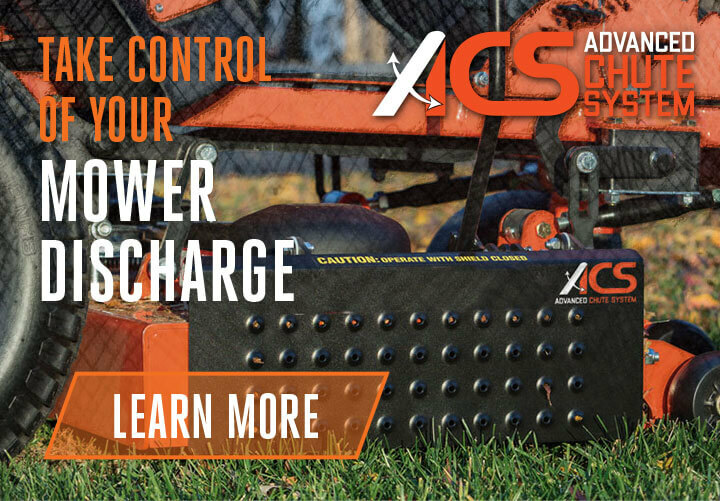 With the best manufacturer line-up of engine options across our entire mower line up, we carefully select each power plant and Hydro-Gear® drive system to produce the absolute best and highest output. 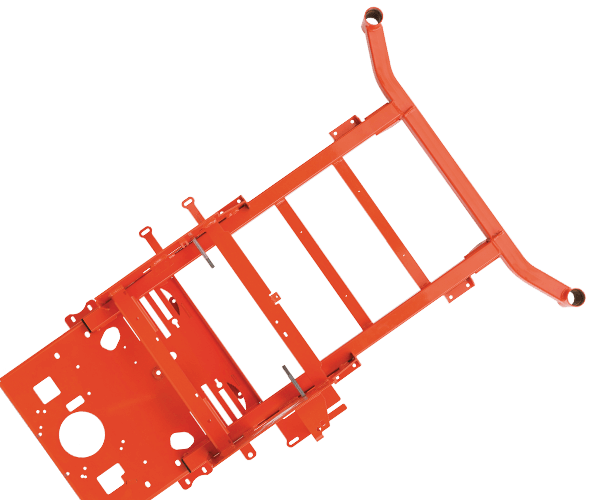 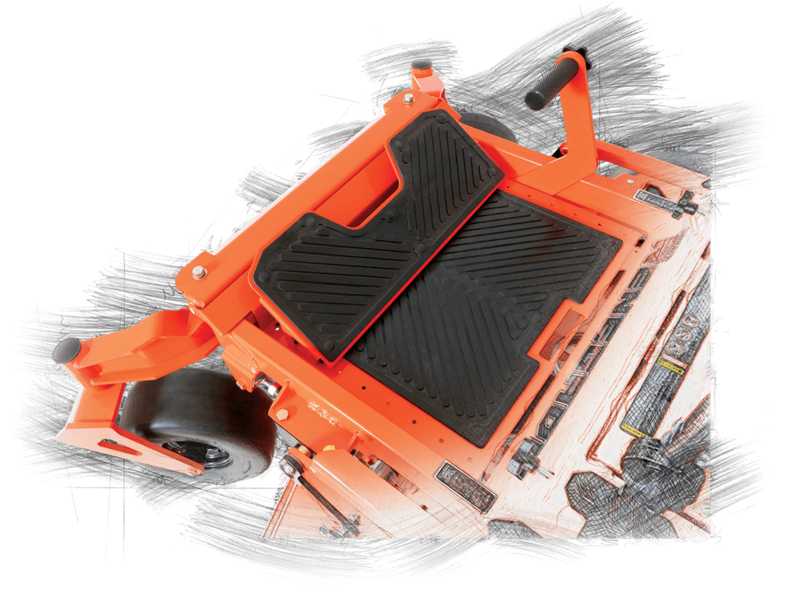 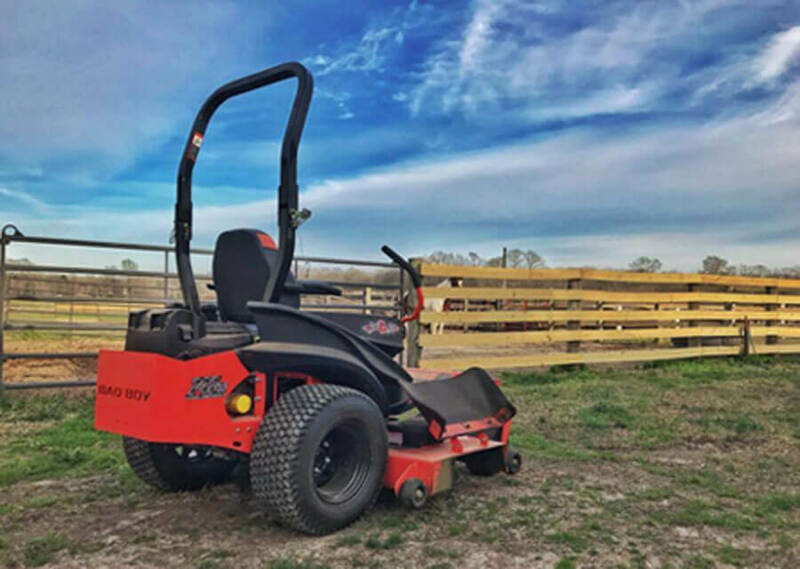 A COMMON FRAME FOR UNCOMMON STRENGTH We re-framed the whole homeowner class zero-turn mower industry with our lowerprofile frame and curved front rail, creating improved stability with a lower center of gravity. 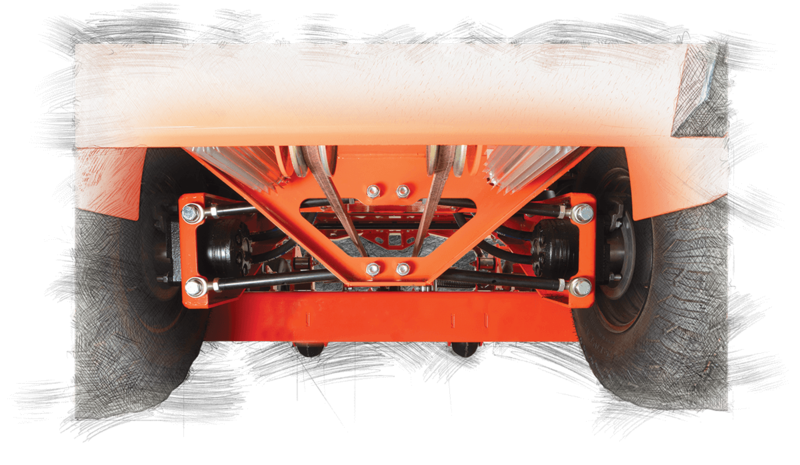 The new, wider stance provides better traction. 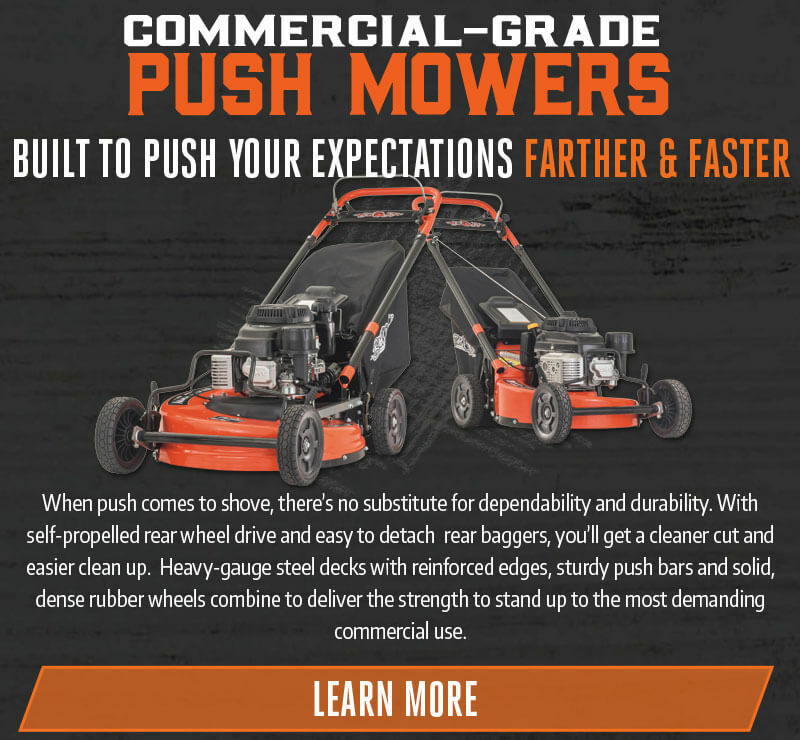 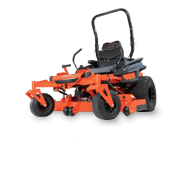 Built with heavy-gauge 2˝ x 2˝ steel rails — all welded and fabricated, never bolted together — the same way our legendary commercial mowers have always been built. 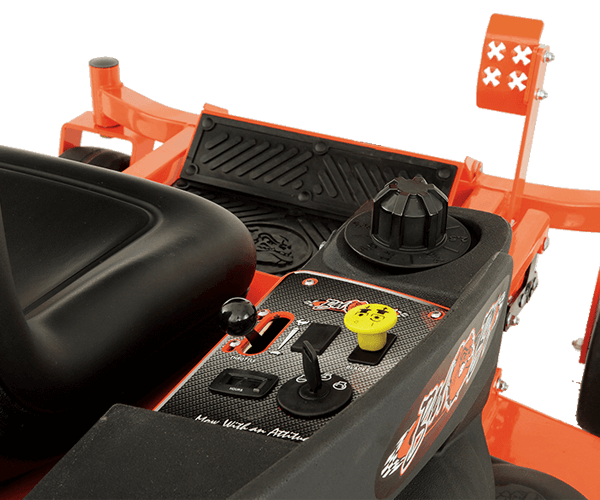 YOU’RE ALWAYS IN COMPLETE CONTROL OF ALL THAT POWER Our Deck Dial adjustment system has quickly became one of the most popular features. 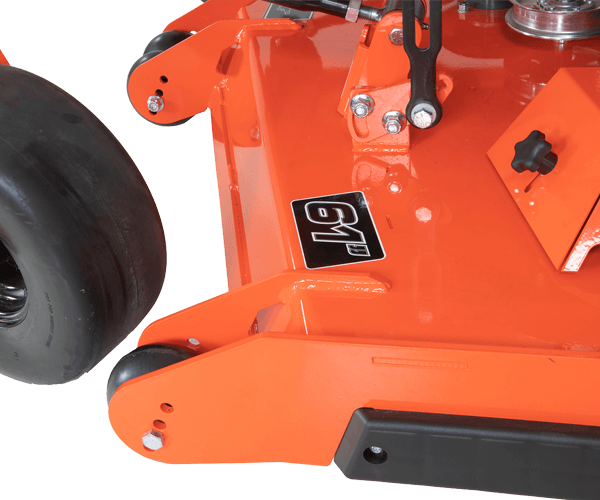 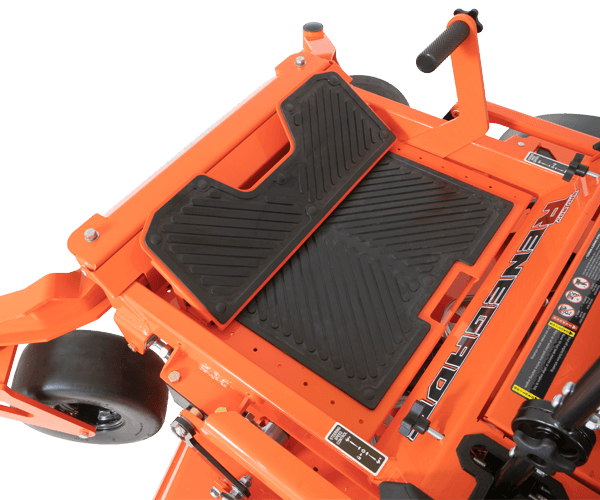 Simply step on the deck pedal (it can easily be mounted on either side) and twist the knob for your preferred grass height. 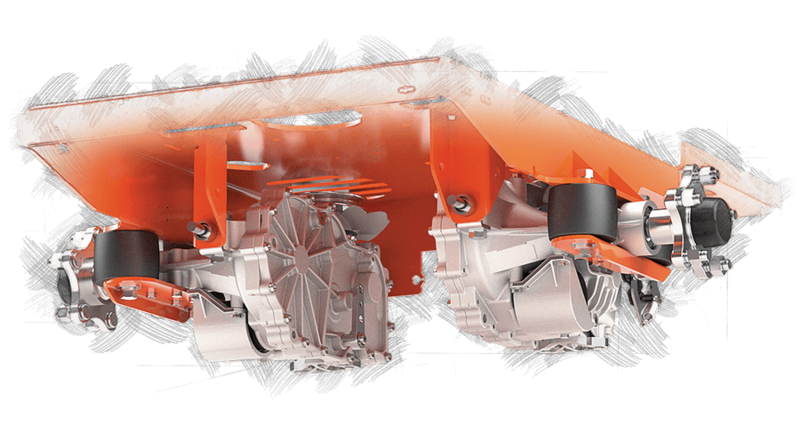   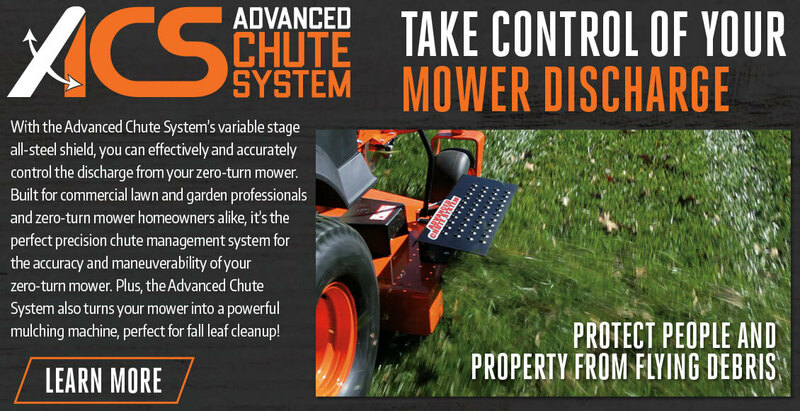 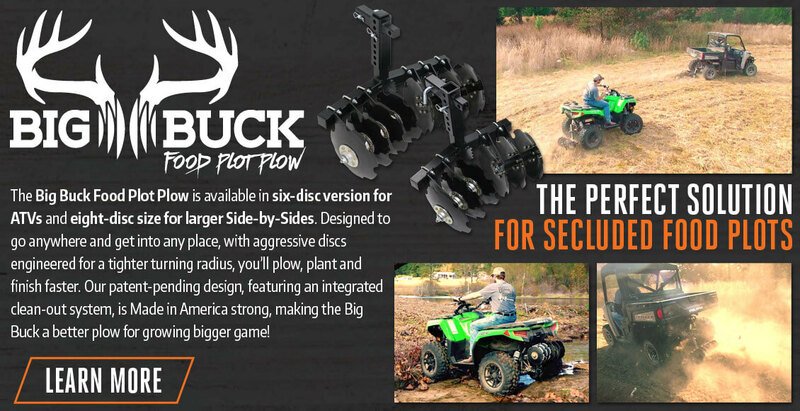 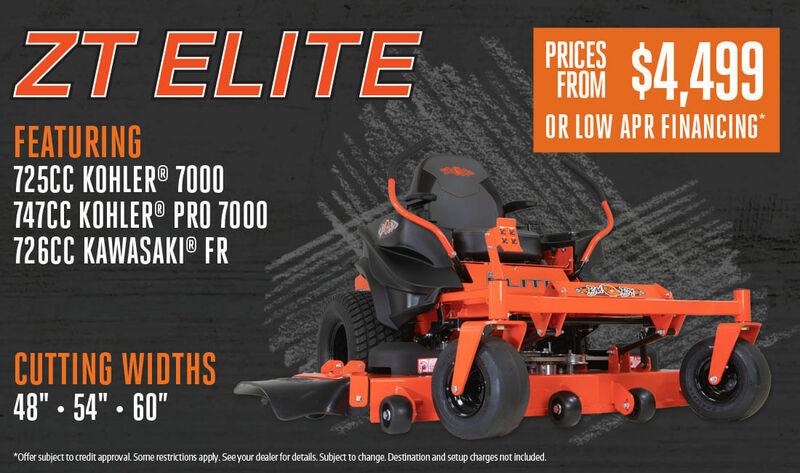 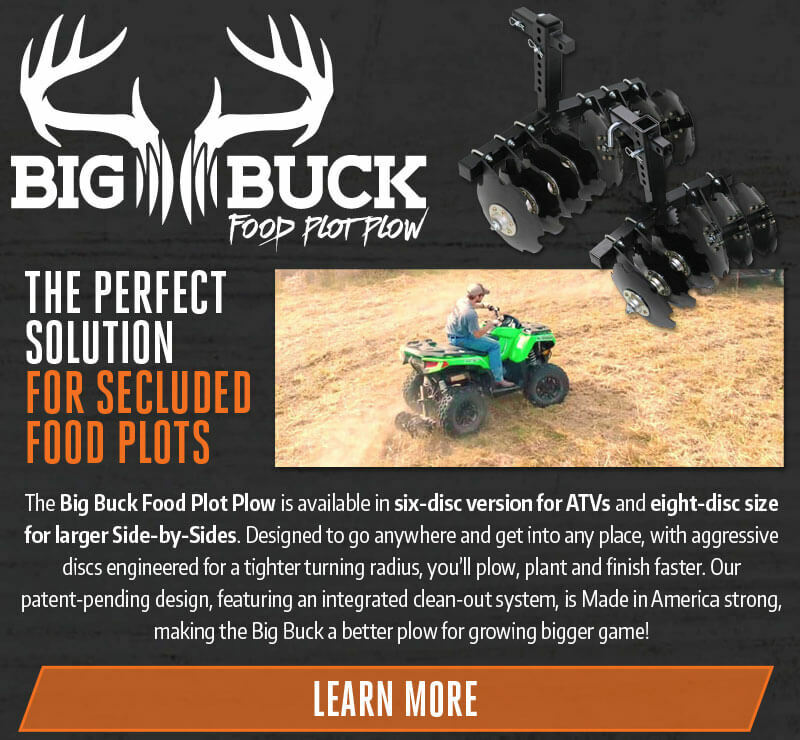 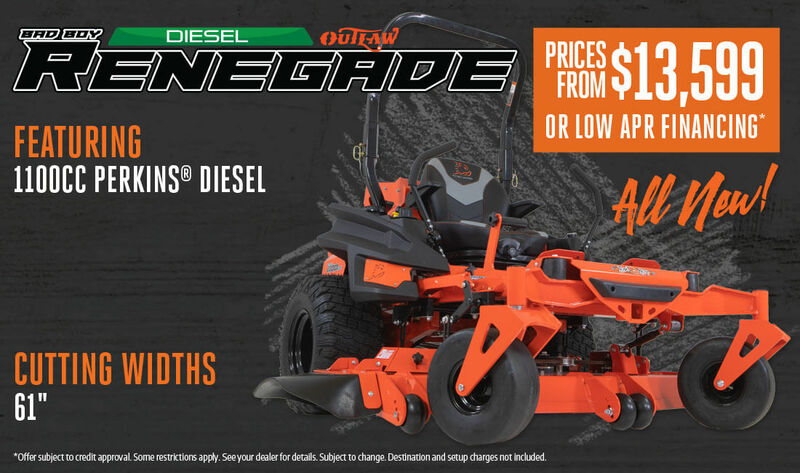 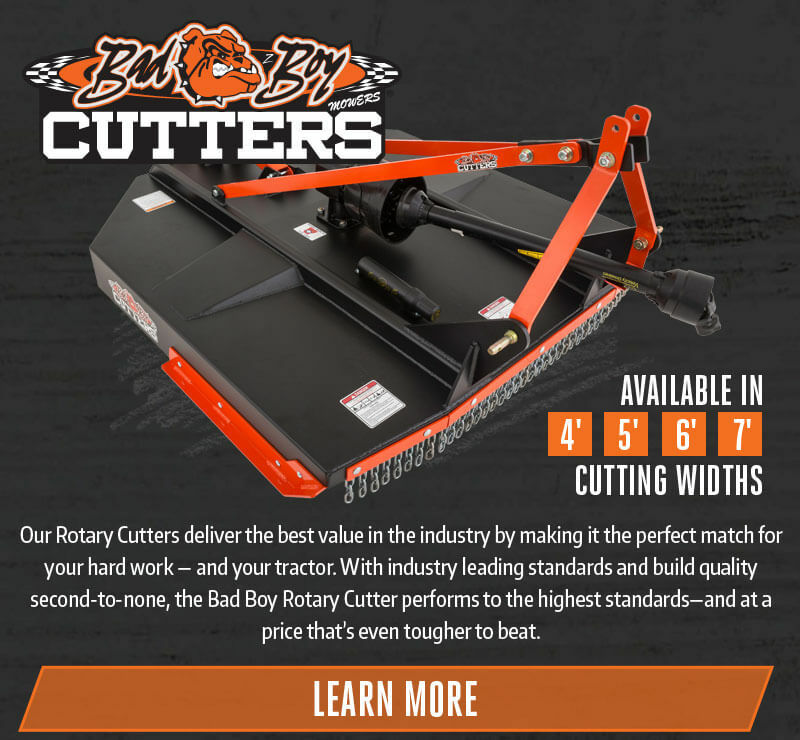 You’ll be locked and dialed in to the perfect cutting height each and every time you mow. 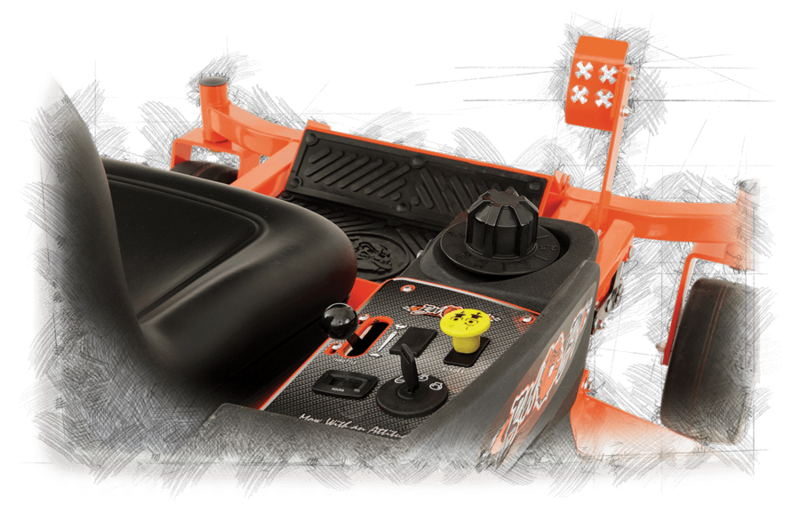 All operator controls — for engine start, throttle and electric blade start — are within easy reach.     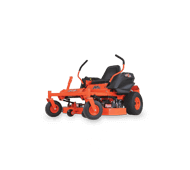 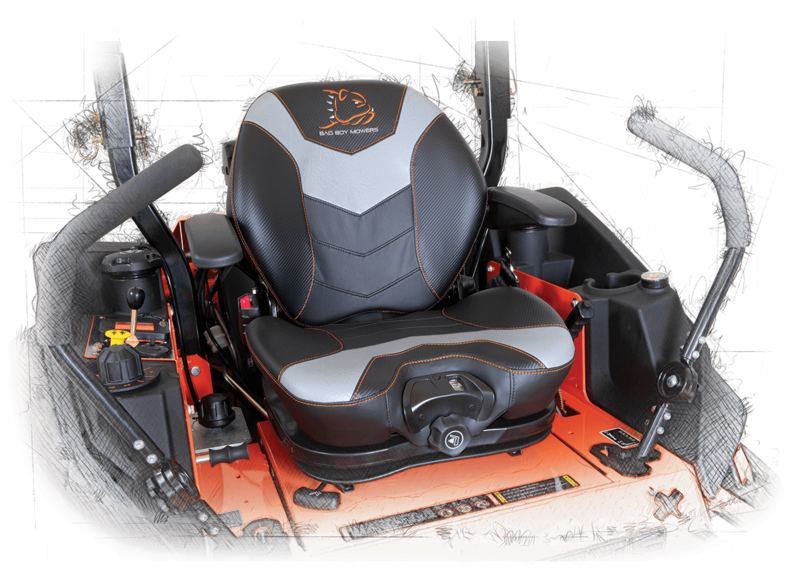    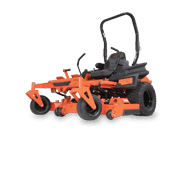 In addition to manufacturing the toughest zero-turn lawn mowers around, we also take our classic Bad Boy approach to an ever growing number of other products. 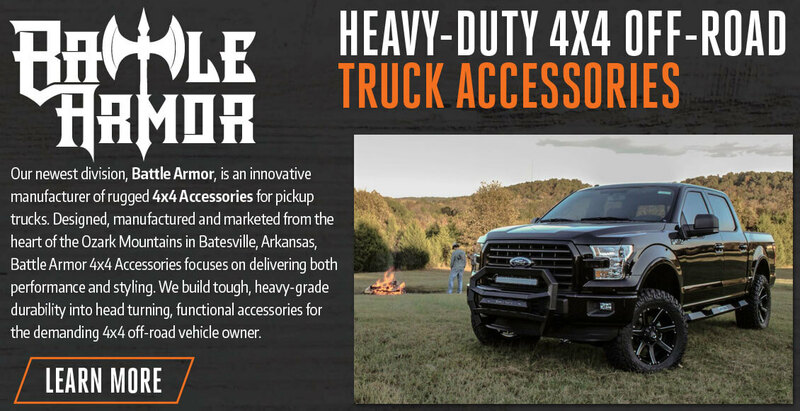 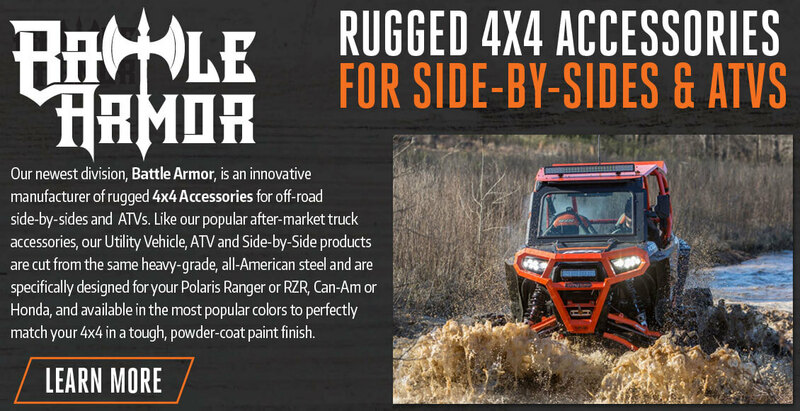 All made with the same heavy-duty construction, and built to last a lifetime. 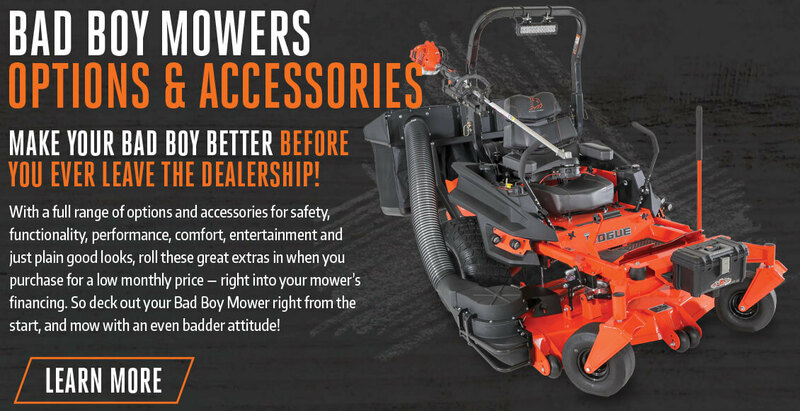 At Bad Boy Mowers, we believe your home is your castle, so why not let your Bad Boy Mower be your throne?! 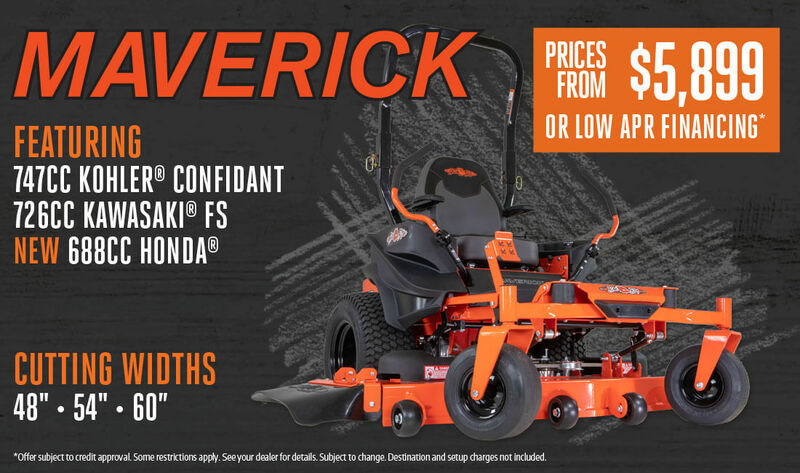 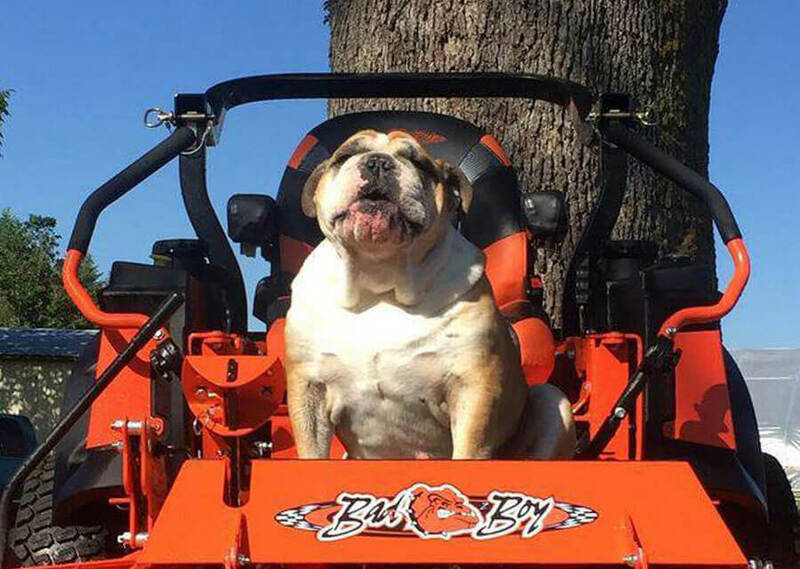 Join us this spring as we celebrate your domain with our My Mower My Throne Sweepstakes by sharing a photo of you posing atop your Bad Boy Throne overseeing your kingdom. 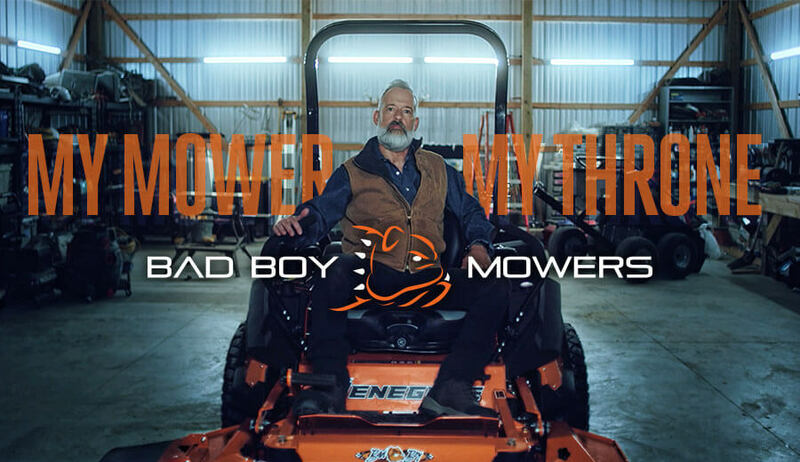 Be sure to tag Bad Boy Mowers and add the hashtag #MyMowerMyThrone and you'll have the chance to enter to win cool daily prizes including the Grand Prize of an Outlaw Rebel Zero Turn Mower. 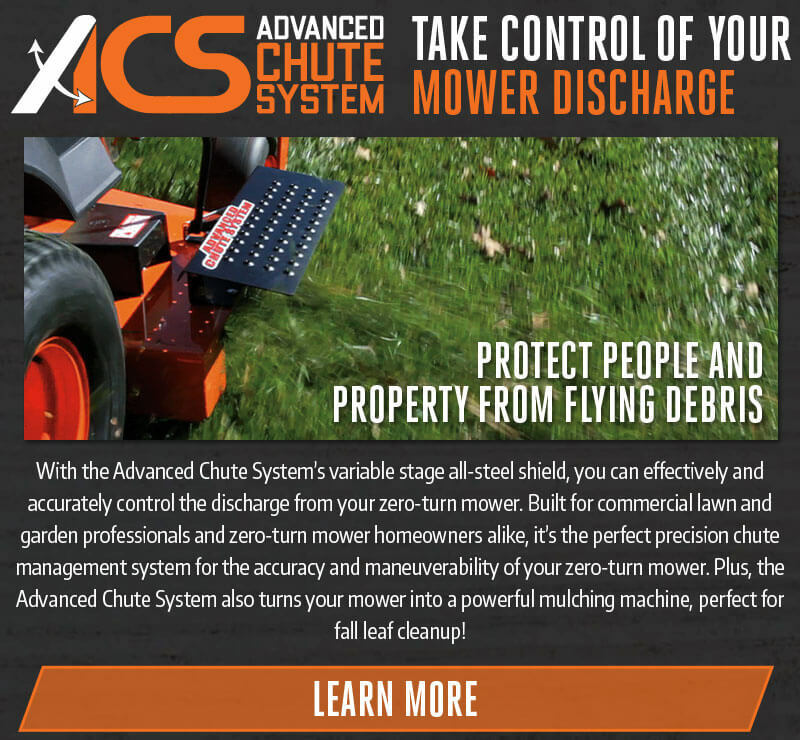 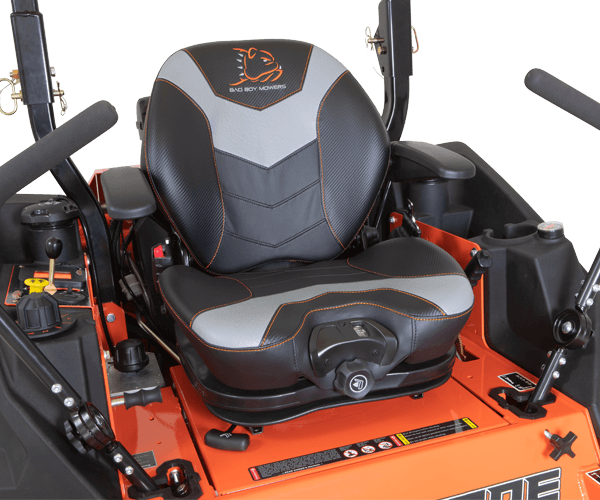 The maker of the popular line of zero-turn-radius mowers and other quality lawn care equipment has interests common with Grand Lake and fishing in general, making the new relationship an especially good fit for all. 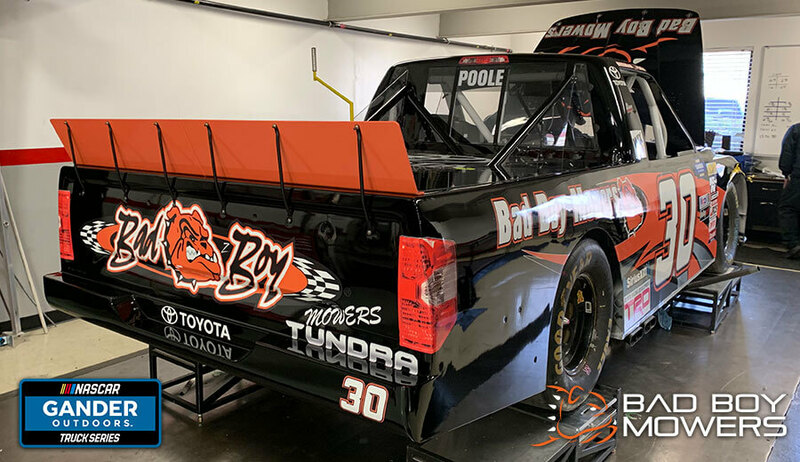 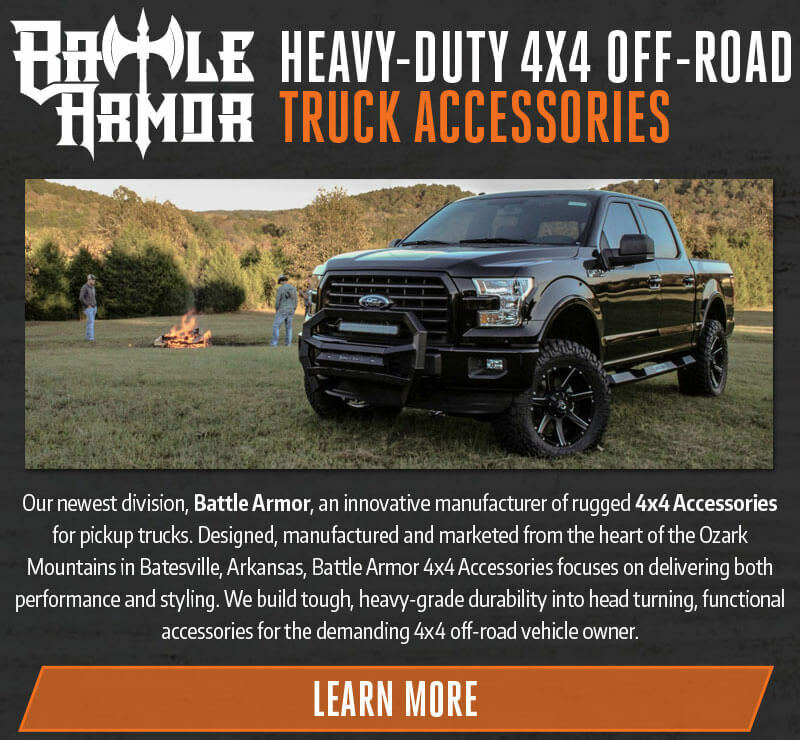 On Point Motorsports and Brennan Poole welcome back Bad Boy Mowers as Primary Sponsor for the NASCAR Gander Outdoors Truck Series event this weekend at Martinsville Speedway. For the second time this season, Poole will fly the colors of the Batesville, AR company on his No. 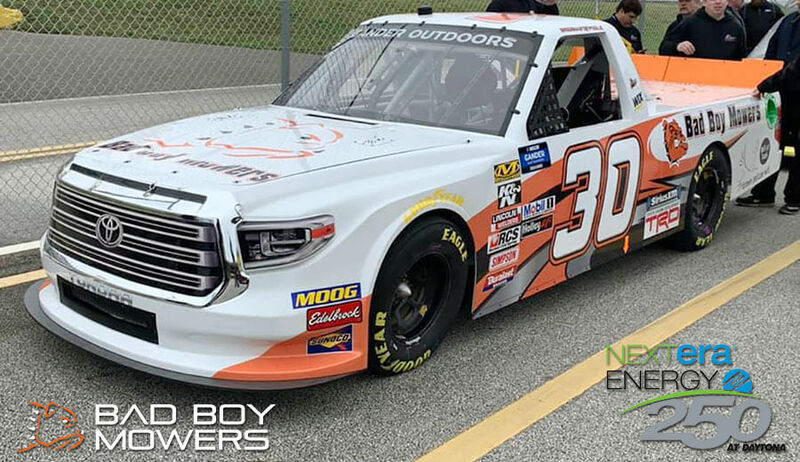 30 Toyota Tundra in the first short track race of the 2019 season. 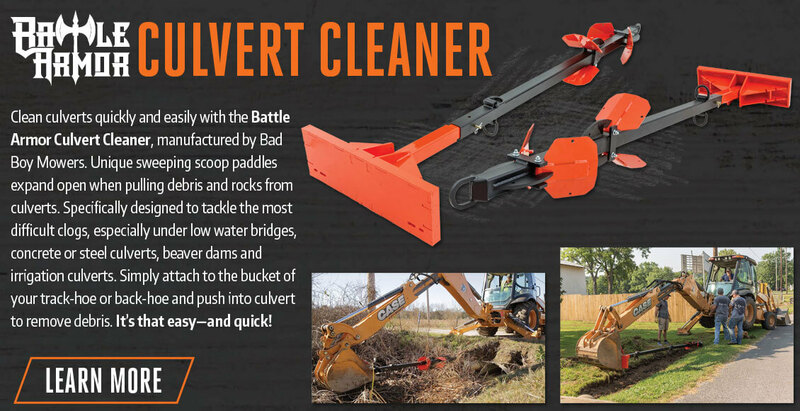 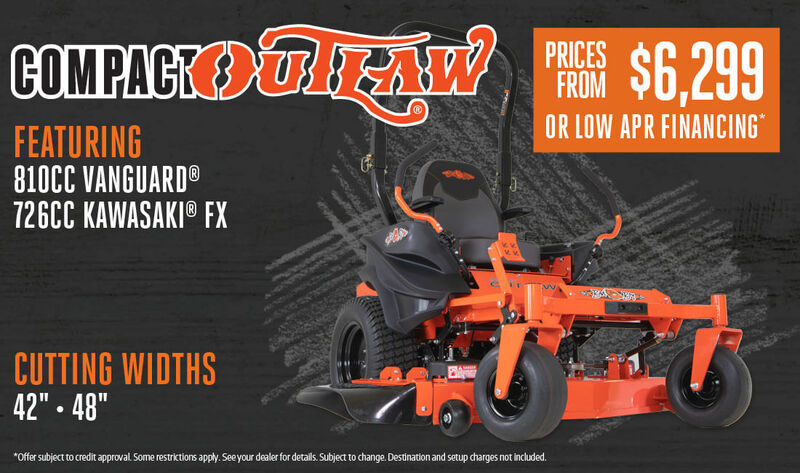 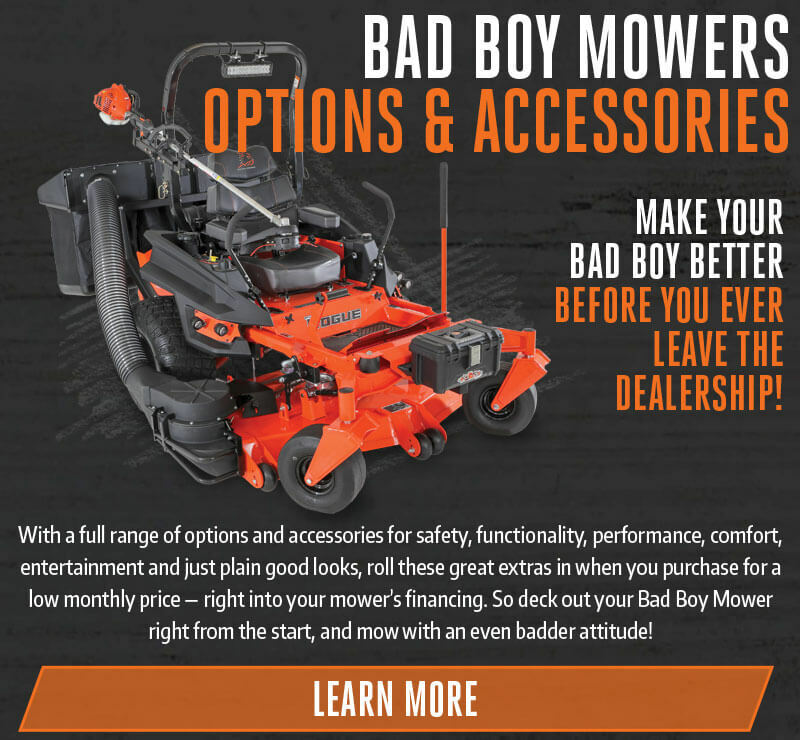 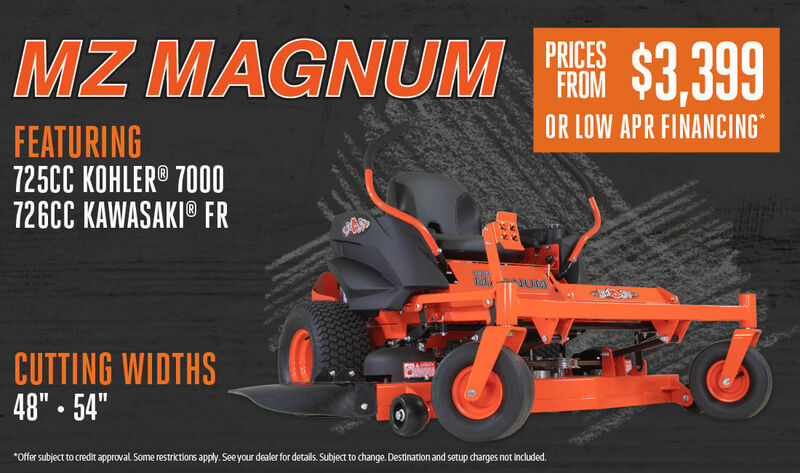   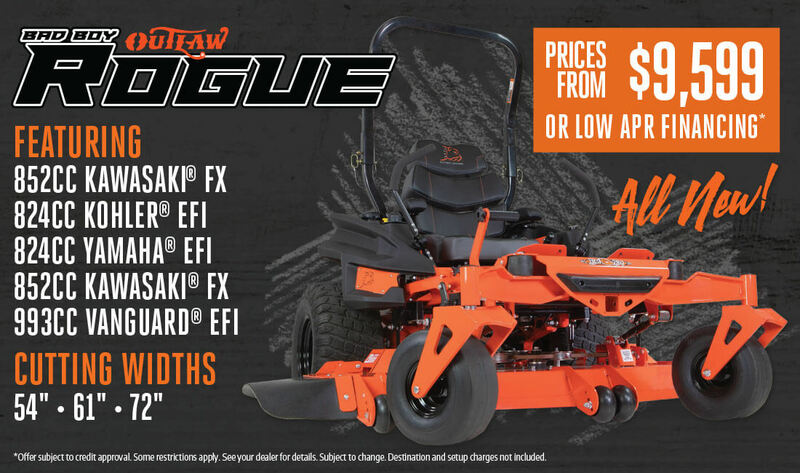 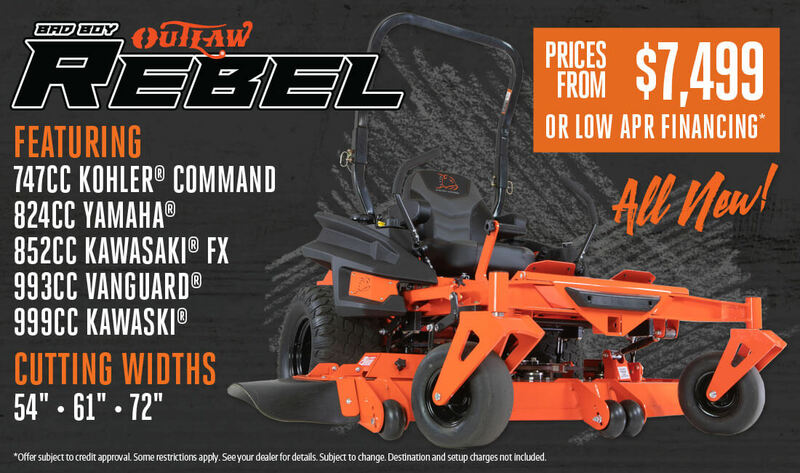 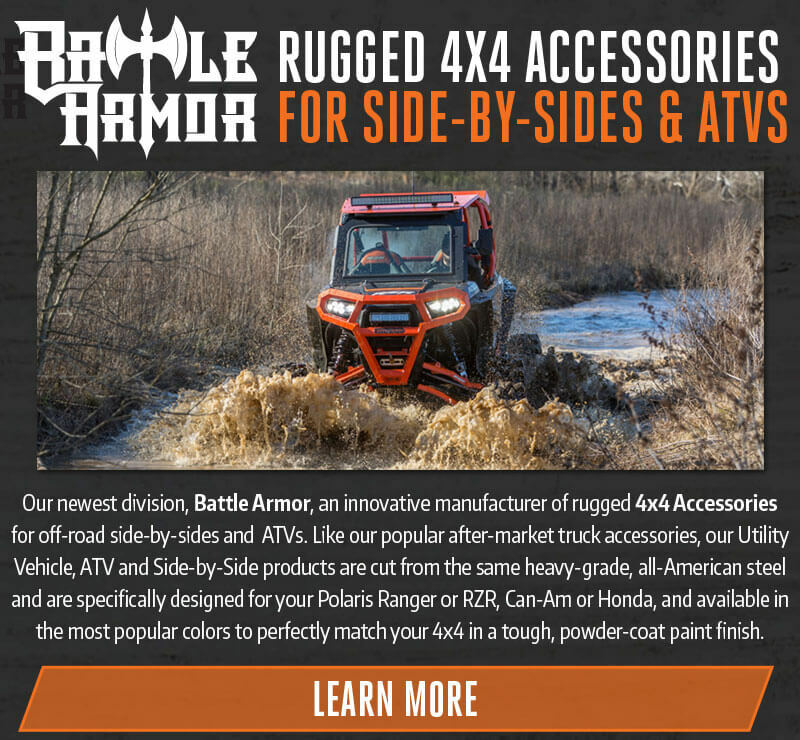 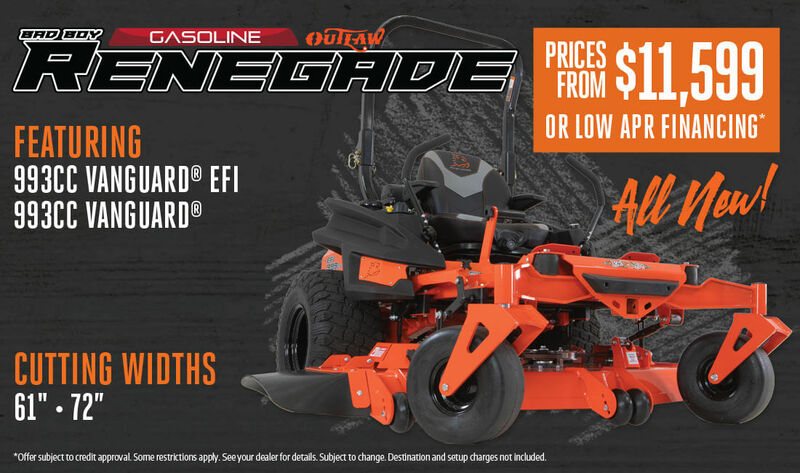 Bad Boy Mowers 2019 Catalog Is Now Available! 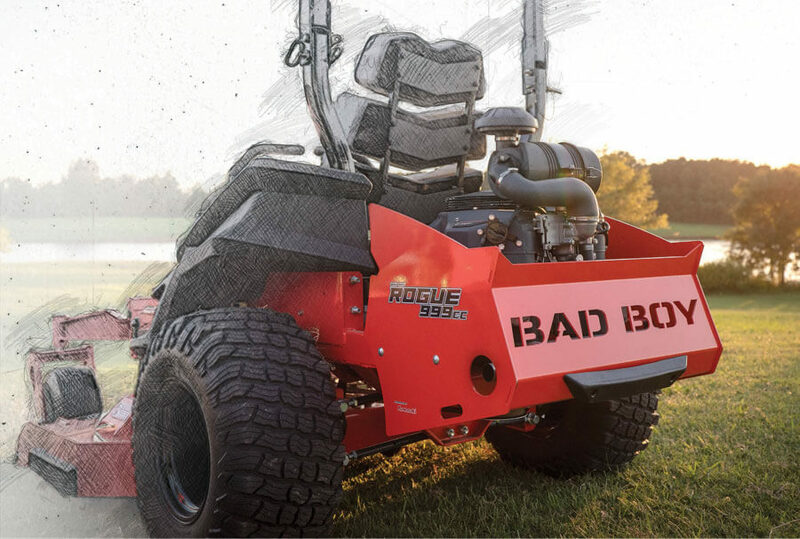 The All-New Bad Boy Mowers 2019 Catalog is ready to show you what we mean by Classic American Muscle.  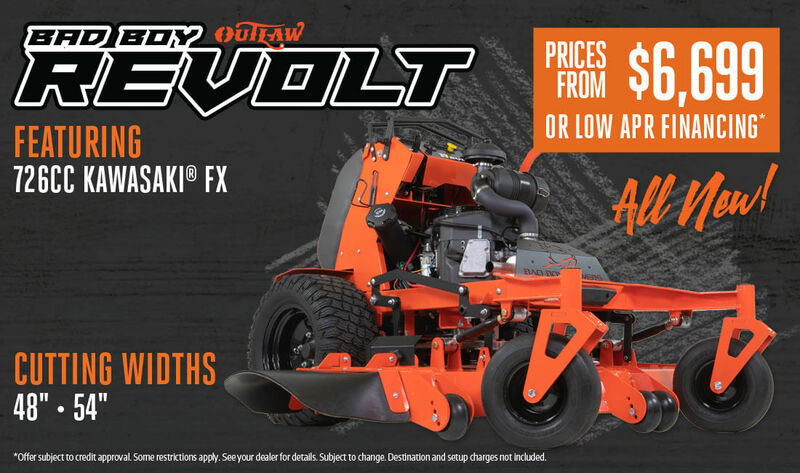    Download our 2019 Catalog Now and learn how our zero turn mowers are built a breed apart from the rest, plus get specifications and features of all of our zero turn mower models along with tons of mower accessories and Bad Boy Attitude. 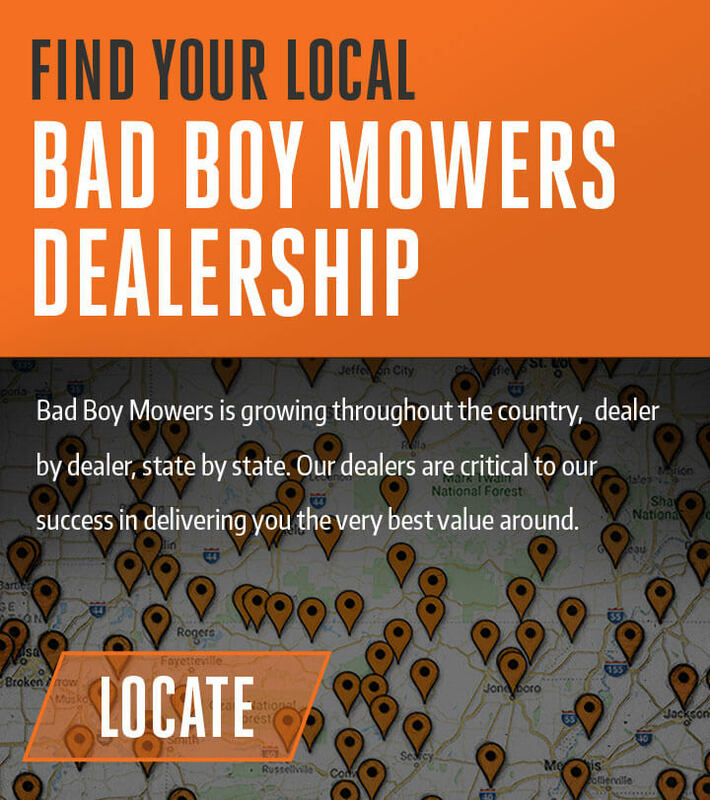 We love to see a huge number of owners, future owners and tire kickers seeking us out on the web and across social media. 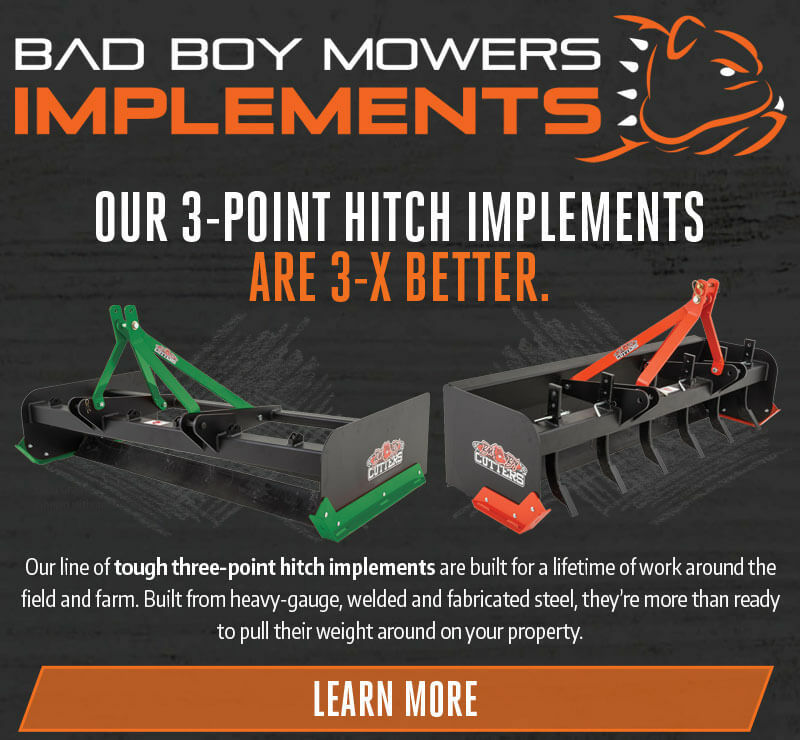 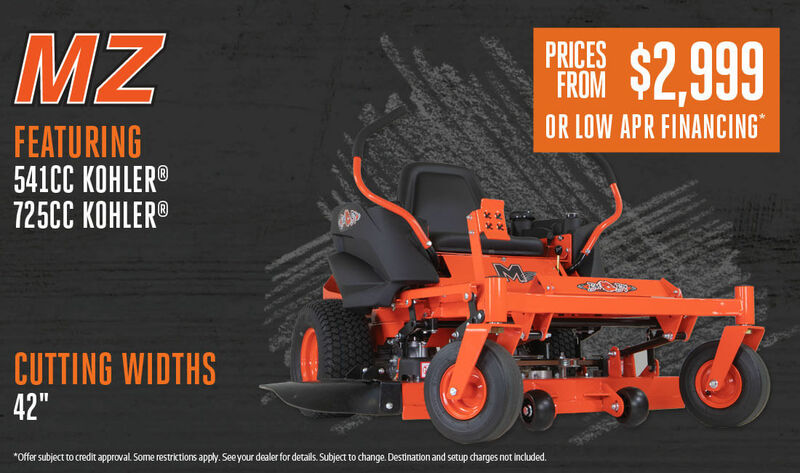  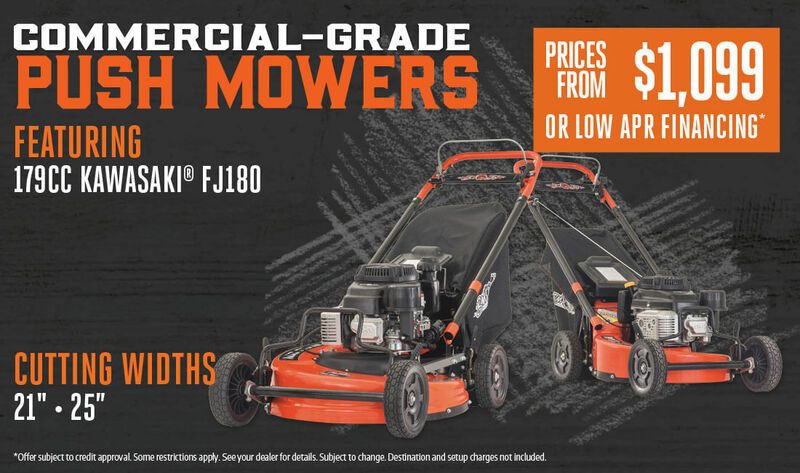 Because we’re trying to make it as easy as possible for you to know just about anything and everything there is about Bad Boy Mowers - anywhere you happen to be. 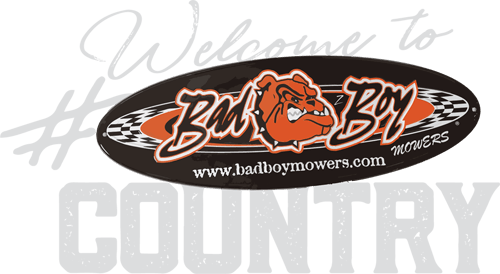 And as much as we want you to see what’s up with us, we’d also like to see your Bad Boy Country! 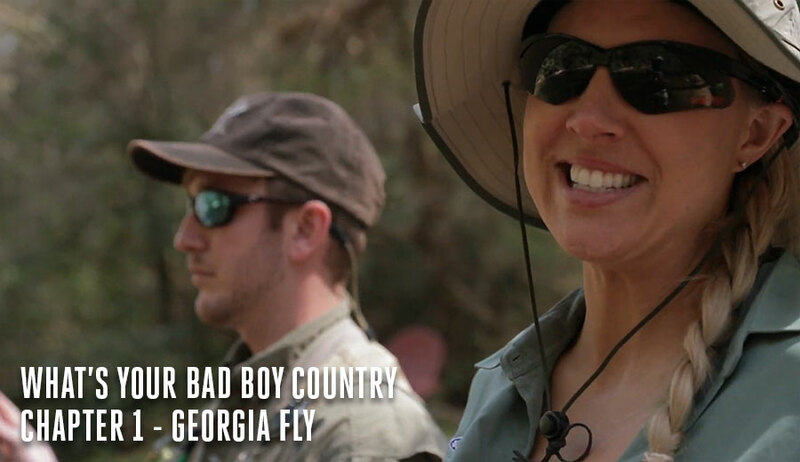 Take a pic and post it up with the hashtag #badboycountry — and who knows, you might find yourself with a little Bad Boy Swag.